Poor presentations have a lot in common with the never-ending stream of bad TV reality shows. Yes, the Boo Boo family is seriously bizarre. But after you get past the slow-down-to-see-the-car-wreck effect, nothing actually happens. Many presentations suffer from the same malady. Slides are assembled, but the presenter hasn’t structured the story. By contrast, an effective presentation has a clear point. It not only informs, but persuades with a strong narrative that grabs and keeps the audience’s attention. Don’t you feel bad for the people featured in this show? They can’t even walk through their living rooms, yet they’re incapable of throwing out old magazines, junk mail and their complete collection of Honey Boo Boo dolls. Presentations can suffer from hoarding, too. Just because you gathered information to prepare for a presentation doesn’t mean it has to be included in the final PPT. I just reviewed a presentation with 144 slides, including a 16-page so-called executive summary. It clearly needs an intervention. No one has ever been selected for a “Housewives” show because she is a shy, retiring minimalist. And you can argue that the New Jersey housewives are actually the tackiest. But for sheer over-the-top vulgar tastelessness, I’ll take Miami. Keep this in mind about presentations: They’re a visual medium. So design plays a major role in their effectiveness. You need to walk the fine line between too gray (snooze) and too garish. Choose one strong, attractive image and you’ll never be a fashion don’t. I guess it’s not fair for me to pick on the new Animal Planet show without seeing it (I was too lazy to turn on the TV for the recent debut). But we can be fairly certain the sloths don't move quickly, so it will be easy for me to catch them next time. 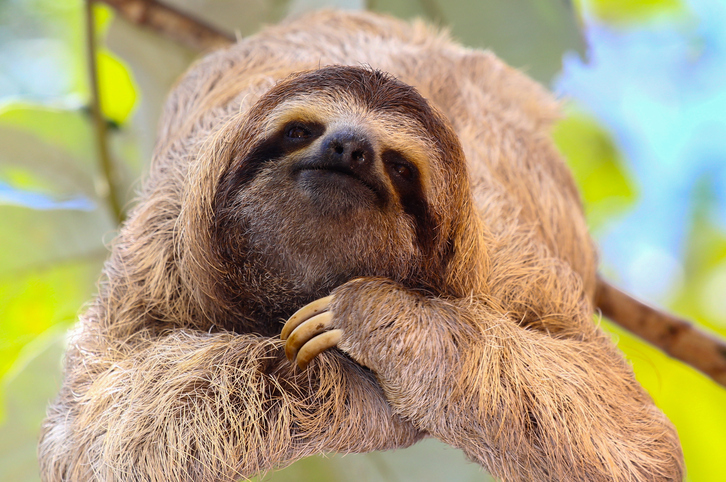 Sloths are an apt metaphor for this classic presentation mistake: The presenter gets to a slide (especially one dense with data) and just sits there while droning on and on. Presentations are not only a visual experience, they’re meant to move. When it comes to the number of slides you create, more is actually better. Keep it moving! Why do people get so angry about the Kardashians, accusing them of having no talent other than appearing in a reality show? In fact, their genius is the fact that they’re making an incredible amount of money being good at only two things: standing in front of the camera and gazing in the mirror. Unlike the Kardashians, the presentation you give is not about you—it’s about your audience. So have a conversation. Ask questions. Pose a problem. Invite participation. The more audience members say, the smarter you’ll sound.